➡️ Pacifica Beauty -Rainbow Crystal Liquid mineral strobe!!! Which I actually have swatched on here before 🙈 this is Pacifica’s NEW highlighters!!! Quick tip apply only what you need because they dry fast!!!! ➡️ Vegan Beauty Sticker which I just put on my cellphone!!! !Yassss I did!!! 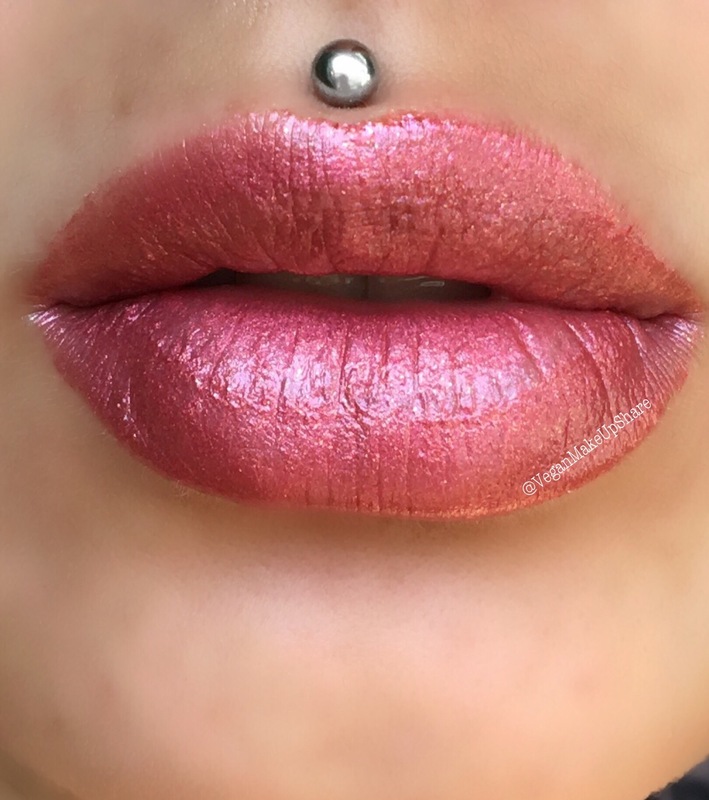 Soooo for these lippies I have found that most are very sheer but buildable!!! This trio is beautiful and can be anyone’s go to natural look! I used it on my eye lids paired with Emani cosmetics eye trio and it worked pretty well! ➡️ You get to test out different products and find new brands every time!!! 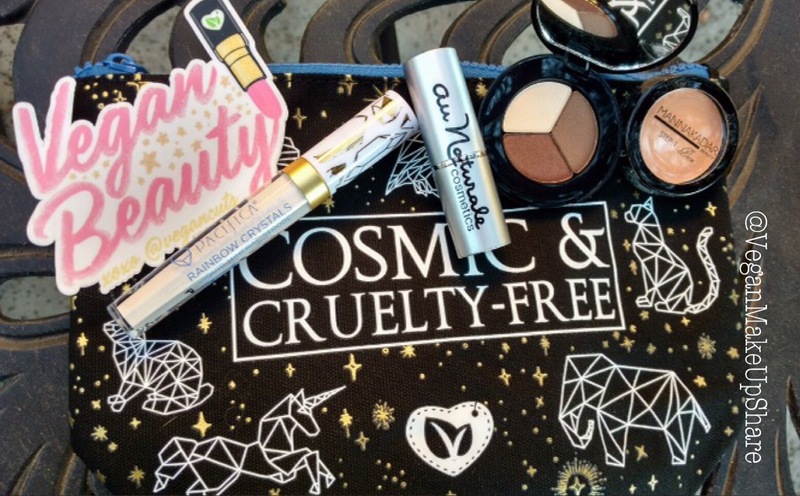 Thank you VeganCuts for sending me this subscription box to check out!!! And get a little discount and use my referral code! Only if you’d like! I just became a VeganCuts ambassador after 9 years of supporting this company . This is my ambassador affiliate code, I get a very small percentage from each purchase. You don’t have to use my referral link only if you’d like to support me❤️Thank you! 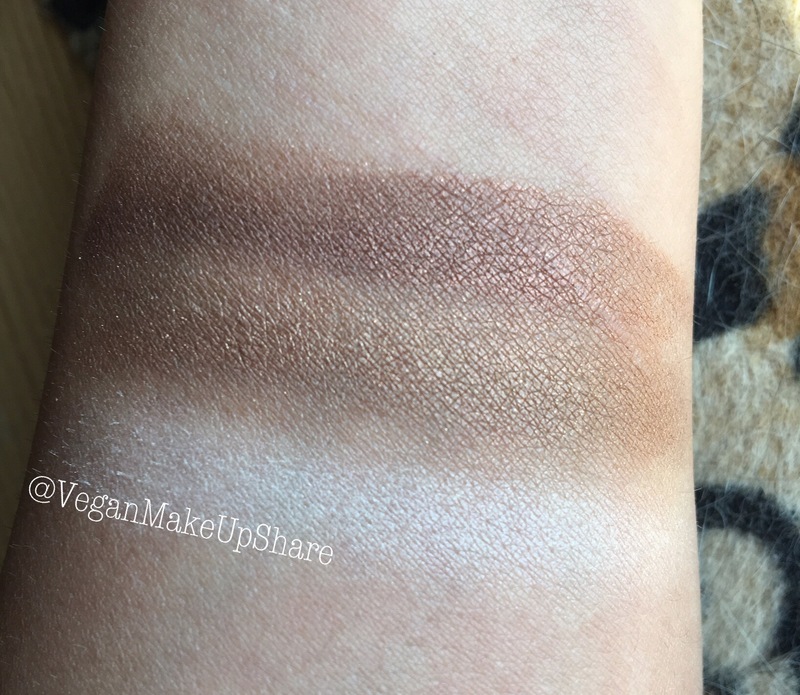 Posted on August 5, 2017, in Vegan Lifestyle Blogger and tagged Animal Advocate, Animal Rights, AnimalRights, beauty blogger, Creestaaal, crueltyfree, eco friendly, green beauty, herbivore, makeup, no animal testing, pacificabeauty, plantbased, Vegan, vegan beauty, Vegan Blogger, vegan company, vegan cosmetics, vegan lifestyle, Vegan Lifestyle Blogger, Vegan makeup, vegan options, vegana, VeganBeauty, VeganCuts, Veganism, VeganLife, VeganmakeupShare, vegansofig. Bookmark the permalink. Leave a comment.